“Gift of Enlightenment” is a unique and totally original board game that brings a flow of positive energy to all who discover it. Friends and family will be delighted by its healing messages and fun game play. Inspirational, life enhancing, and hugely enjoyable, this is one adventure that is guaranteed to stay in the mind long after the final dice has been thrown. 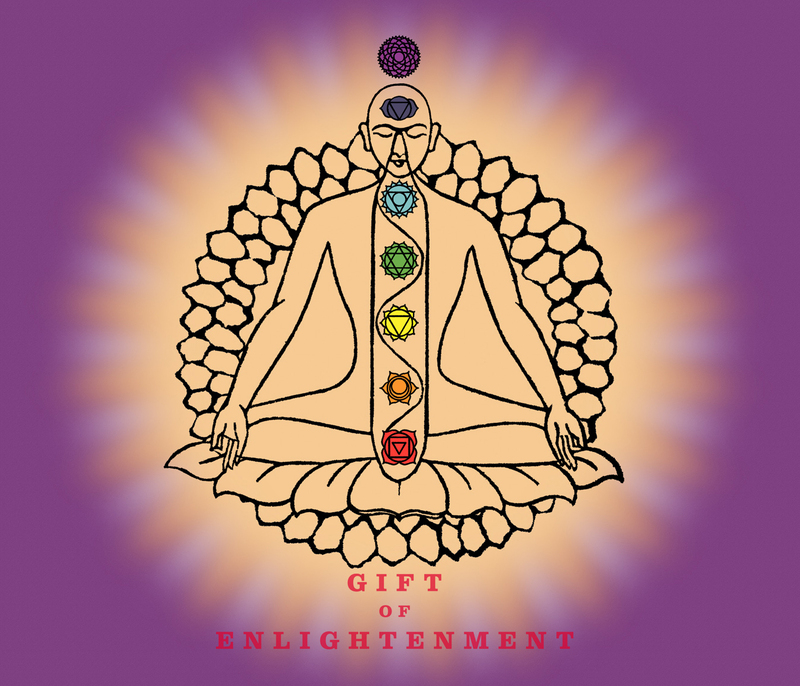 · Seek your very own ‘Gift of Enlightenment’. · Make life-changing decisions as you travel the ‘Circle of Life’. · Win and lose positive and negative human traits along the way. · Harness the energy around you. It can help you to reach the ultimate goal. · How powerful are your Sixth Sense, Insight, and Intuition? Here’s your chance to find out as you seek to master the ‘Seven Chakra Challenges’. · Collect the Seven Chakra Crystals that can help you to open the wonderful ‘Book of Enlightenment’. · Delve into the mysterious Karma Pool. · Try to avoid falling for False Idols. · Gain a personal gift from the ‘Book of Enlightenment’. · 7 special Chakra stones with velvet holding bag.